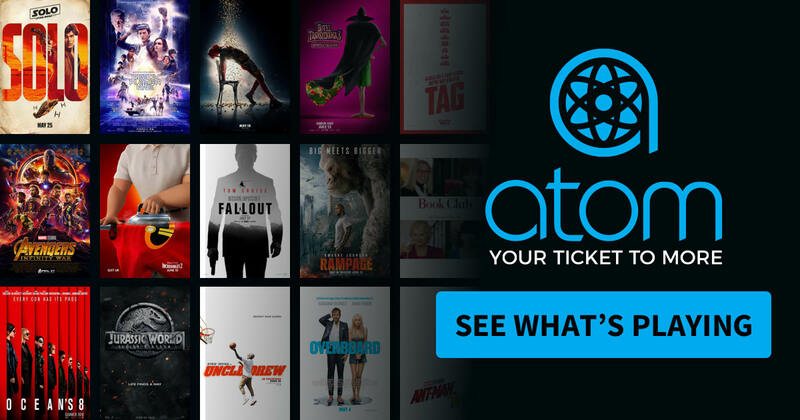 Santa Monica, CA (May 15, 2018) – Today Atom Tickets, the social movie ticketing platform, announced that it has secured a deal with Landmark Theatres, the nation’s largest theater circuit dedicated to exhibiting and marketing independent film. The deal enables Atom Tickets across Landmark Theatre’s 53 theatres and 255 screens. This new exhibitor adds to Atom’s total reach of over 20,000 of the highest volume screens across North America. Since its founding in 1974, Landmark now has multiple locations across 27 markets. Landmark is known for both its award-winning historic theatres, such as: the Tivoli in St. Louis, the Inwood in Dallas and the Oriental in Milwaukee, and its more contemporary theatres, including: the circuit’s flagship theatre, The Landmark in Los Angeles, The Landmark at 57 West in New York City, E Street Cinema in Washington, DC, and The Landmark Theatre Greenwood Village in Denver’s flourishing Tech Center. Landmark Theatres joins an impressive list of theater partners that includes: AMC Theatres, Regal Cinemas, Southern Theatres, National Amusement’s Showcase Cinemas, Bow Tie Cinemas, and Harkins Theatres among others. Atom Tickets re-imagines the most convenient way for users to plan a night out at the movies. The free app and website provide relevant reviews, trailers and synopses to help customers make the best decision on what to see. Moviegoers may then invite friends to purchase their own tickets to join them. Atom offers streamlined ordering of tickets and concessions from any Android or iOS phone. At the theater, users go directly to the ushers and concession counters, where they simply scan a QR code at tablet kiosks. Paper tickets and IOUs have been replaced by Atom’s innovative platform, which keeps all plans, messaging, payment and tickets in one place.